Hall K, Bayuk D. Science and Russian Orthodox scholarship. Isis. 2016;107(3):573-8. Hall K. The younger Polanyi. Vol 54.; 2013. (European Journal of Sociology; vol 54; no 3). Hall K. 'Rasovye priznaki koreniatsia glubzhe v prirode chelovecheskogo organizma': Neulovimoe poniatie rasy v Rossiiskoi imperii. In: Sdvizkov D, Schierle I, Miller A, editors. 'Poniatie o Rossii': K istoricheskoi semantike imperskogo perioda. Moscow: Novoe literaturnoe obozrenie; 2012. p. 194-258. Hall K. 'Racial traits are rooted deeper in the nature of the human organism': The elusive race concept in imperial Russia. In: Sdvizkov D, Schierle I, Miller A, editors. 'The Concept of Russia': Toward a Historical Semantics of the Imperial Period. 2012: Novoe literaturnoe obozrenie; 2012. p. 194-258. Hall K. Worshiping names: Russian mathematics and problems of philosophy and psychology in the Silver Age. Vol 21.; 2012. (Metascience; vol 21; no 2). Hall K, Josephson P, Ranyuk Y, Tsekhmistro Y. Science and the periphery under Stalin: Physics in Ukraine. In: Physics and Politics: Research and Research Support in Twentieth Century Germany in International Perspective. Stuttgart: 226; 2010. 197. Intelligentsia Science : The Russian Century, 1860-1960. Hall K, Gordin M, Kojevnikov A, editors. ; 2008. Gordin MD, Hall K. Introduction: Intelligentsia Science Inside and Outside Russia. In: Intelligentsia Science: The Russian Century, 1860-1960. Vol 23. University of Chicago Press; 2008. p. 1-19. (Osiris; vol 23). Hall K. The Schooling of Lev Landau: The European Context of Postrevolutionary Soviet Theoretical Physics. In: Intelligentsia Science: The Russian Century, 1860-1960. Vol 23. University of Chicago Press; 2008. (Osiris; vol 23). Hall K. The Schooling of Lev Landau : The European Context of Postrevolutionary Soviet Theoretical Physics. Osiris. 2008;23:230-59. Hall K, Gordin M. Introduction : Intelligentsia Science Inside and Outside Russia. Osiris. 2008;23:1-19. Hall K. Book review. ; 2007. The article reviews the book Science for the Masses: The Bolshevik State, Public Science, and the Popular Imagination in Soviet Russia, 1917-1934, by James T. Andrews. Hall K. Book review. ; 2006. The article reviews the book Stalin's Great Science: The Times and Adventures of Soviet Physicists, by Alexei B. Kojevnikov. Hall K. 'Think less about foundations' : A Short Course on the Course of Theoretical Physics of Landau and Lifshitz. 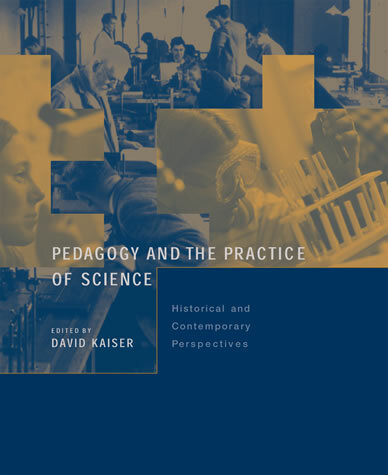 In: Pedagogy and the practice of science : historical and contemporary perspectives. Cambridge, Mass. : MIT Press; 2005. p. 253-86. Hall K. "Надо меньше думать об основах": Курс теоретической физики Ландау и Лифшица в культурно-историческом контексте. Исследования по истории физики и механики. 2005;2004:156-205. Hall K, Kaiser D, Ito K. Spreading the Tools of Theory : Feynman Diagrams in the USA, Japan, and the Soviet Union. Social Studies of Science. 2004;34(6):879-922. Hall K. Europe and Russia. In: The Oxford companion to the history of modern science. Oxford: Oxford University Press; 2003. p. 279-82. Hall K. Alexander Vucinich, Einstein and Soviet Ideology. Vol 75.; 2003. (Journal of Modern History; vol 75; no 4). Hall K. Book review. ; 2003. This article reviews the book Einstein and Soviet Ideology by Alexander Vucinich. Hall K. Purely practical revolutionaries : a history of Stalinist theoretical physics. Cambridge, Mass. : Harvard University; 1999. Hall K. Book review. ; 1997. This article reviews the book Yakov Ilich Frenkel: His Work, Life, and Letters by Victor Ya.